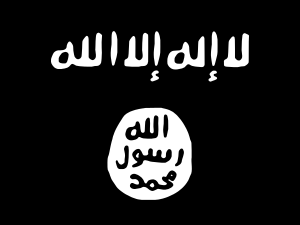 ISIL insurgency in Tunisia refers to the ongoing militant and terror activity of the Islamic State of Iraq and the Levant branch in Tunisia. The activity of ISIL in Tunisia began in summer 2015, with the Sousse attacks, though an earlier terror incident in Bardo Museum in March 2015 was claimed the Islamic State, while the Tunisian government blamed Okba Ibn Nafaa Brigade. Following massive border clashes near Ben Guerdance in March 2016, the activity of the ISIL group was described as armed insurgency, switching from previous tactics of sporadic suicide attacks to attempts to gain territorial control. On 26 June 2015, an Islamist mass shooting attack occurred at the tourist resort at Port El Kantaoui, about 10 kilometres north of the city of Sousse, Tunisia. Thirty-eight people, thirty of whom were British, were killed when an armed gunman attacked a hotel. It was the deadliest non-state attack in the history of modern Tunisia, with more fatalities than the twenty-two killed in the Bardo National Museum attack three months before. On 24 November 2015, a bus carrying Tunisian presidential guards exploded, killing 12, on a principal road in Tunis, Tunisia. ISIL claimed responsibility for the attack. The bomber, who also died in the attack, was identified as Houssem Abdelli. The 2016 Ben Guerdane attack was an armed attack on March 7, 2016 in the city of Ben Gardane in Tunisia on the border with Libya. The clashes continued also on 8 and 9 of March in the area. The final death toll was 45 militants, 13 security and 7 civilians. On March 19, 2 militants were killed on Libyan border, near to the site of the Ben Guerdane attack, while three civilians and a Tunisian security forces member were wounded. On March 30, 4 Tunisian troops were reported killed in an ambush by ISIL affiliates in Kasserine. On May 11th, four police men were killed by IS attack, with the suicide bomber dying as well. This followed the death of two suspected terrorists near Tunis. On October 26th, Two Americans were detained in this small town in northwestern Tunisia, suspected of involvement with a terrorist organization, police officials said. On November 5, militants killed the soldier at his home in the central region. A day later, ISIL claimed responsibility for the killing. On November 9th, The Tunisian Army hunted down and shot dead a leader of a militant group affiliated with ISIL militants, this comes four days after the militant group killed a solidier at his house in central Tunisia. ↑ Carlino, Ludovico (9 March 2016). "Islamic State attack on Ben Guerdane indicates shift in group's Tunisia strategy, to trigger insurgency". Jane's Defence Weekly. Retrieved 17 March 2016. ↑ Tarek Amara. "Gunmen storm Tunisian museum, kill two Tunisians, 17 foreign tourists site". Reuters. Retrieved 19 March 2015. ↑ "The Latest: French President Mourns Tunisia Victims". The New York Times. 18 March 2015. Retrieved 19 March 2015. ↑ "Museum attack a 'great calamity' for Tunisia's young democracy". Los Angeles Times. 18 March 2015. Retrieved 19 March 2015. 1 2 Death toll rises to 23, Associated Press, MSN News; accessed 19 March 2015. ↑ "Third Tunisia museum attacker 'on the run', says president". Agence France Presse, Yahoo News. March 22, 2015. Retrieved March 22, 2015. ↑ "21 dead in Tunisia attack, Including Gunmen". Al-Jazeera.com. Retrieved 19 March 2015. ↑ "ISIS Claims Responsibility For Tunisia Museum Attack". The Huffington Post. Retrieved 19 March 2015. 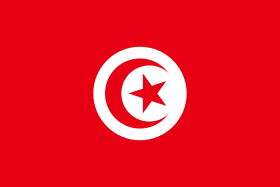 ↑ "Thousands of Tunisians, leaders march after Bardo attack". Reuters. 29 March 2015. Retrieved 29 March 2015. ↑ "Africa – Scores killed in terror attack on Tunisian beach resort". France 24. ↑ "Death toll from attack at Tunisia hotel rises to 39". WBTV. Retrieved 29 June 2015. ↑ Payne, Ed; Black, Phil; Smith-Spark, Laura. "Tunisia attack: Tourists flee the country after gunman kills 38". CNN. Retrieved 27 June 2015. ↑ Gandar, Kashmira (24 November 2015). "Tunisia bus explosion: Bomb kills 12 on Tunis bus in 'act of terror'". The Independent. Retrieved 24 November 2015. ↑ Amara, Tarek (24 November 2015). "Bombing of Tunisia presidential guard bus kills 12". Reuters. Retrieved 24 November 2015. ↑ "Islamic State Claims Responsibility for Deadly Bus Attack in Tunis". The Wall Street Journal. 25 November 2015. Retrieved 27 November 2015. ↑ "Islamic State claims responsibility for fatal Tunis bus attack". The Guardian. 25 November 2015. Retrieved 27 November 2015. ↑ "Tunisia identifies bus suicide bomber as Tunisian national". Reuters. ↑ AFP (20 March 2016). "Tunisian forces kill 2 'terrorists' near site of border attack". ↑ Desk, News (30 March 2016). "ISIS terrorists ambush 4 Tunisian soldiers in Kasserine".